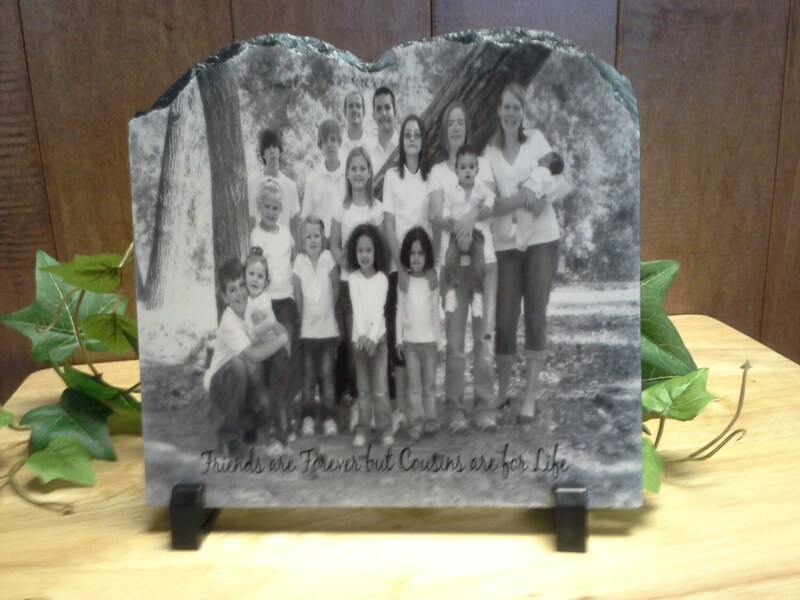 This piece of slate is a great item for many occasions. Measuring at 7.8" x 7.8" x 3/8" this slate is the perfect size for a Wedding Gift, Bridal Shower Gift, or a gift for ANY Occasion. Such a beautiful and meaningful gift. They loved it! I would give this 10 stars if I could. This turned out so beautiful, and the bride and groom are going to love it. My husband liked it so much that he said we need to get one done for ourselves too. I highly recommend this to anyone looking for a great gift or addition to your home. Love it!